Why give Bitcoin Cash (BCH) and Roger Ver a Chance? Over the summer of 2017, there was a big battle brewing in the world of cryptocurrency. With the latest hard fork on the horizon, Bitcoin investors were nervously awaiting the creation of the new Bitcoin Cash. Some investors saw the emergence of Bitcoin Cash as a real opportunity, while others derided it as a mere scam. And while some simply watched and waited, others went further, trolling the creator of Bitcoin Cash, spreading unsubstantiated rumors and actively trying to sink the new cryptocurrency before it even hit the market. These efforts had an enormous impact on Bitcoin Cash, and the early days of the new cryptocurrency were often rough ones. Even so, Bitcoin Cash (BCH) has recovered handsomely since then, and many cryptocurrency experts feel it will eventually overtake the original Bitcoin, not only as a form of payment but as an investment as well. Bitcoin Cash (BCH) was born on August 1, 2017, right in the midst of the cryptocurrency hysteria. Back then, interest in Bitcoin, Litecoin, Ethereum and other cryptocurrencies was growing fast, prices were on the rise and news of this seemingly new investment market was everywhere. It was into that crazy world that Bitcoin Cash was born, and this environment created a lot of confusion for everyone from the true believers to the naysayers. The creation of Bitcoin Cash was the latest in a line of so-called hard forks, blockchain events that allowed the creation of new cryptocurrencies. 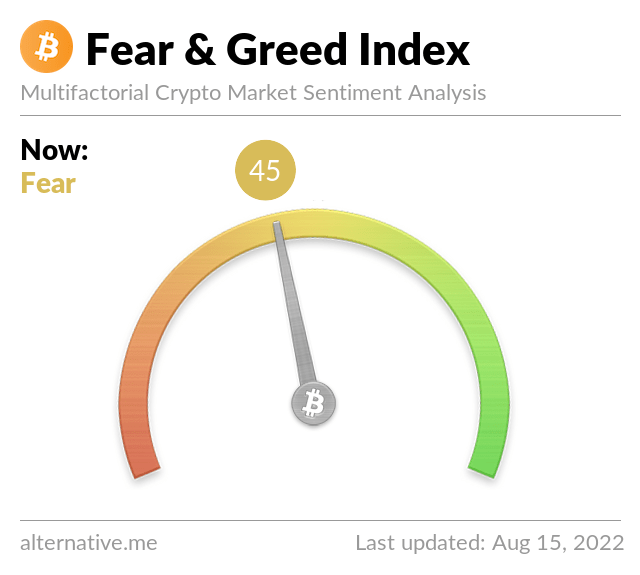 These hard forks had happened in the past, and they had always been sources of contention, and even fear, for Bitcoin holders. The Bitcoin Cash hard fork was no exception, with some people predicting the end of Bitcoin as they knew it and others claiming Bcash would quickly become the hot new thing. One of the notable things about the Bitcoin Cash hard fork was the limited support it initially received. Compared to the hysteria surrounding the original Bitcoin, reception for BCH was quite tepid. Some major exchanges refused to handle the new cryptocurrency, and many Bitcoin investors were unsure where they stood. Initial prices for Bitcoin Cash were also quite low, especially compared to the record highs Bitcoin had been setting. Since then, however, Bitcoin Cash has recovered nicely, booking some handsome profits and leaving the early adopters and initial miners with some huge gains. And while the price of Bitcoin Cash is still lower than that of Bitcoin, many in the cryptocurrency market expect BCH to catch, and eventually supplant, the original Bitcoin as a source of payment and as an investment. In fact, many in the tech community feel that it is Bitcoin Cash, and not Bitcoin, that represents the true Vision of Satoshi. One of the hallmarks of Bitcoin Cash’s arrival on the scene was the intense and relentless trolling that accompanied its release. These attacks were downright vicious, and they took place at a number of online venues. Nothing attracts trolls like telling the truth. From cryptocurrency message boards to the comment sections of news stories, the attacks on Roger Ver were everywhere. For anyone paying attention, it was hard to miss these attacks, and it was difficult to understand their vitriol. According to these online trolls, Roger Ver was the devil himself, intent on nothing less than the destruction of the cryptocurrency market. Some suggested that Roger Ver was willing to risk the integrity of the Bitcoin market, and the promise of the blockchain, in pursuit of his own ego. Others painted Ver as a naïve fool, someone who simply did not grasp the implications of what he was doing. No matter what form those attacks took, they seemed to have had their desired impact. In the days leading up to the introduction of Bitcoin Cash and the highly anticipated hard fork, there was a great deal of consternation in the cryptocurrency markets. Some worried that the BCH fork would crash Bitcoin, and that all those new investors would be left high and dry. Others feared that Bitcoin Cash would crash and burn, and that its failure would taint future hard forks and the introduction of new cryptocurrencies. After initially being dismissed and then derided, Bitcoin Cash is finally getting some positive attention. The recent runup in BCH prices has helped to turn things around, as more and more investors flood into the alternative cryptocurrency. In fact, many of those inflows are coming from former critics of Bitcoin Cash, and a great deal of money has flowed from BTC to BCH in the last couple of months alone. So what is behind the newfound respect for Bitcoin Cash, and what does the cryptocurrency have to offer investors and users? One of the biggest advantages of Bitcoin Cash is its ease of use. Unlike Bitcoin, which must be exchanged using a bank account, Bitcoin Cash can be exchanged between users without an intermediary. That easy exchange means freedom from high fees, something that has plagued Bitcoin and other cryptocurrencies from the start. Bitcoin Cash is also safer than many other payment methods, including the original Bitcoin. This safety means less risk of identity theft and other nefarious consequences. Receiving Bitcoin Cash is also more convenient. When merchants accept payment in BCH, they receive the money right away, without the lag time that often accompanies Bitcoin transactions. This makes Bitcoin Cash both easier to use and more secure, and that could prompt its widespread adoption by both online and brick-and-mortar merchants. Throughout the years, many major cryptocurrencies have followed a familiar pattern. The price swings may seem wild and random, but there is a clear pattern at work here. For many years, Bitcoin was stuck in its market pricing stage, with advances and pullbacks fighting for control. These days, the price of Bitcoin has settled down a bit, with the cryptocurrency trading in a much narrower range. Many experts feel that Bitcoin Cash is currently in the same market pricing trend that Bitcoin was in just a few years ago. Those who remember those days hope that Bitcoin Cash is now following the same pattern, and that the price gains BCH is in store for will be just as dramatic. If this pattern holds true and Bitcoin Cash breaks out of its market pricing stage, holders of the cryptocurrency could be in for some huge gains down the line. The many advantages of Bitcoin Cash, along with its recent price moves, have many people taking a second look. Bitcoin Cash may have gotten off to a rocky start, but it is clearly on a roll. For now, the future of Bitcoin Cash seems far brighter than its initial critics predicted. Compared to the original Bitcoin and many other cryptocurrencies, Bitcoin Cash has some clear advantages for merchants, and that could lead to widespread adoption over the next couple of years. As merchants grow tired of high fees and complicated rules, they are likely to see BCH as a real alternative. Without the high fees, those merchants can enjoy higher profit margins and faster transactions, and that bodes well for the future of this once derided form of payment. I have to admit, that I was a proud defender of Bitcoin and highly skeptical regarding Bitcoin Cash/Roger Ver. Without a doubt, BCH managed to have a market head start, compared to other cryptocurrencies in terms of 3rd party wallet integration and exchange listings. The Bitcoin Core Team is busy developing the technology further however managed to leave gaps in the principles of what BTC was set out to solve in the first place; Cheap and fast transactions. However Bitcoin is more setting the ground, to be more as a cryptocurrency reserve (similar to the FED), digital gold standard (as you may want to call it). Both projects (BTC/BCH) will coexist in the crypto space and strongly believe they will complement each other. Also, the rising network effect + use of BCH in commerce will continue to gain ground in the near future. The writer does own Bitcoin Cash (BCH) and this article is not to be used as investment advice. Everything stated is the writer’s personal opinion.